François-Henri Pinault (French: [pino]; born (1962-05-28)28 May 1962) is a French businessman, the chairman and CEO of Kering since 2005, and President of Groupe Artémis since 2003. Under his leadership, Kering divested the retail industry and became a luxury group. François-Henri Pinault is the son of François Pinault, the founder of Pinault S.A., which later became Pinault-Printemps-Redoute, then PPR, and then Kering. François-Henri Pinault graduated from HEC School of Management (1985). During his studies, he cofounded the still existing CRM company Soft Computing with other fellow students, and did an internship at Hewlett-Packard in Paris as a database software developer. After graduating, he completed military service in the French Consulate in Los Angeles, and was in charge of studying fashion and new technology sectors. In 1987, François-Henri Pinault began his career at PPR (then called Pinault Distribution) where he was promoted manager of the buying department in 1988, head manager of France Bois Industries in 1989, and head manager of Pinault Distribution in 1990. In the 1990s, as Pinault Distribution became PPR, an international player in the retail sector, François-Henri Pinault became president of CFAO in 1993 and CEO of Fnac in 1997. 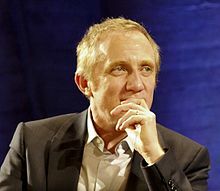 In May 2003, François-Henri Pinault became vice-president of PPR and president chairman of Artemis, the holding company that controls the assets of the Pinault family. In March 2005, he became chairman and CEO of PPR. At the helms of the group, he grew concerned about PPR's close ties to the European market and its eclectic set of numerous businesses. Looking for high-growth segments, he oriented the group towards fashion and luxury. He sold PPR’s leading retail assets: Conforama, CFAO, Printemps, Fnac and La Redoute. PPR then merged with the Gucci group, its subsidiary since 1999. The brands Gucci, Yves Saint-Laurent, Bottega Veneta, Balenciaga, Boucheron, Alexander McQueen and Stella McCartney were now under the direct supervision of PPR’s executives. The group expanded its portfolio of luxury brands with the acquisition of Swiss watchmaker Girard-Perregaux (2011), Italian tailor Brioni (2011), Hong Kong jeweler Qeelin (2012), Italian jeweler Pomellato (2013), British brand Christopher Kane (2013), German designer Tomas Maier, Swiss watchmaker Ulysse Nardin (2014). Kering also developed a sports & lifestyle division with the acquisition of Puma (2007) and Volcom (2011). He made sustainability a pillar of the company by introducing new solutions to dramatically reduce the pollution of the luxury and textile industry. From 2003 to 2014, the sales recorded by PPR had dropped by more than a half, but its profits had grew by 40%. From 2005 to 2017, the luxury revenues of the group rose from 3 to 10 billion euros. In June 2013, François-Henri Pinault changed the group’s name from PPR to Kering. The new name is a reference to his Breton roots, "Ker" meaning "home" in the region’s dialect, and sounds like "caring". In 2018, as revenues grew 27% to 15.5 billion euros the year before, he announced his plan to outperform Louis Vuitton with Gucci over time. In 2018, François-Henri Pinault confirmed Kering’s exit of the Sport & Lifestyle sector to focus solely on the Luxury sector. In 2008, François-Henri Pinault created the Kering Foundation to defend and promote women’s rights. In 2015, Kering launched the Women in Motion program with the Cannes Film Festival to raise gender issues within the film industry. François-Henri Pinault is a member of The B Team, a pro-environment not-for-profit organization founded by Richard Branson. In 2009, he financed the documentary Home by Yann Arthus-Bertrand, which shows aerial shots of various places on Earth and discusses how humanity is threatening the ecological balance of the planet. In January 2018, Kering was named top sustainable textile, apparel and luxury goods corporation in the Corporate Knights Global 100 index. After the Notre-Dame de Paris fire, Pinault committed 100 million euros to the rebuilding of the partially destroyed French cathedral. 2015 : ADL (Anti-Defamation League) International Leadership Award for setting a standard in corporate responsibility and raise awareness about discrimination against women and other minorities. François-Henri Pinault was married to Dorothée Lepère from 1996 to 2004, and they had two children together, a son François (b. 1999) and a daughter Mathilde (b. 2001). François-Henri Pinault dated supermodel Linda Evangelista from September 2005 to January 2006, and they had a child together, Augustin James Evangelista, born October 2006. In April 2006, he began dating the actress Salma Hayek. In March 2007, it was reported that Hayek was pregnant, and later that month the couple was engaged. Their daughter Valentina was born on 21 September 2007. They married on 14 February 2009 in Paris, in the Sixth Arrondissement town hall. Two months later, on 25 April 2009, they renewed their wedding vows in the presence of their family and friends in Venice. François-Henri Pinault is a regular participant, together with his wife, to the investment bank Allen & Co.'s annual weeklong conference organized every year in Sun Valley, Idaho. ^ "Francois Pinault & family". Forbes. Retrieved 2018-09-13. ^ "François-Henri Pinault (PPR) : le nouvel empire". Journaldunet.com (in French). 7 December 2000. Retrieved 23 April 2017. ^ a b Joe Einhorn (5 August 2012). "Meet Le Geek: Francois-Henri Pinault". Techcrunch.com. Retrieved 23 April 2017. ^ a b "Biography". Kering.com. Retrieved 23 April 2017. ^ a b Peter Gumbel (2 September 2009). "The new king of luxury". Fortune.com. Retrieved 23 April 2017. ^ a b François-Henri Pinault (March 2014). "Kering's CEO on Finding the Elusive Formula for Growing Acquired Brands". Hbr.org. Retrieved 30 January 2019. ^ Elizabeth Paton (25 January 2017). "François-Henri Pinault, Kering Chief, on Why Green Is the New Black". Nytimes.com. Retrieved 30 January 2019. ^ "Goods activity: Gucci Group". Scribd.com. 2005. Retrieved 4 July 2018. ^ Maura Brannigan (13 February 2018). "Kering is appropriately freaking out over its most profitable year on the record". Fashonista.com. Retrieved 4 July 2018. ^ "François-Henri Pinault's Luxury Group PPR Changes Name to Kering". Pusuitist.com. Retrieved 23 April 2017. ^ Molly Fischer (2 April 2015). "Flyby". Newyorker.com. Retrieved 23 April 2017. ^ Harriet Agnew (13 February 2016). "Pinault looks ahead at Louis Vuitton as Gucci grows". Ft.com. Retrieved 30 January 2019. ^ Chris Reiter; Robert Williams (11 January 2018). "Kering Pares Back Its Puma Shares to Focus on Luxury Goods". Bloomberg.com. Retrieved 4 July 2018. ^ a b "Vanity Fair Nominates François-Henri Pinault to Its Hall of Fame". Vanityfair.com. December 2016. Retrieved 23 April 2017. ^ Tatiana Siegel (5 December 2015). "Cannes Fashion Partner Francois-Henri Pinault on His Festival Strategy and Why the Red Carpet Matters". Hollywoodreporter.com. Retrieved 23 April 2017. ^ "Biography". Bteam.org. Retrieved 23 April 2017. ^ "Information about the movie - Home - Un film de Yann Arthus-Bertrand". Homethemovie.org. Archived from the original on 2014-01-11. Retrieved 2012-06-25. ^ Lorelei Marfil (23 January 2018). "Kering Named Most Sustainable Global Corporation". Wwd.com. Retrieved 4 July 2018. ^ Tina Isaac-Goizé (26 June 2017). "Pinault Presents Future Museum in Paris". Vogue.com. Retrieved 4 July 2018. ^ Doug Gollan (4 January 2018). "How The Billionaire Owner Of Gucci And Brioni Wants To Make Expedition Cruises Fashionable". Forbes.com. Retrieved 30 January 2019. ^ Delphine Cuny (27 June 2017). "Un fonds des Pinault va soutenir la French Tech aux Etats-Unis". Latribune.fr (in French). Retrieved 30 January 2019. ^ "Incendie à Notre-Dame : la famille Pinault débloque 100 millions d'euros". Retrieved 2018-04-14. ^ O'Kane, Caitlin (16 April 2019). "Several of the world's richest French billionaires donate more than $500 million to rebuild Notre Dame". CBS News. Retrieved 16 April 2019. ^ "Décret du 14 avril 2006 portant promotion et nomination". Journal officiel de la République française (in French). 16 April 2006. Retrieved 13 April 2017. ^ Miles Socha; Joelle Diderich (8 December 2015). "Livia Firth Hands Out Inaugural GCC Awards in Paris". Wwd.com. Retrieved 4 July 2018. ^ "Francois-Henri Pinault, CEO of Kering, is Honored with ADL International Leadership Award". Adl.org. Retrieved 23 April 2017. ^ "The Best-Performing CEOs in the World 2018". Hbr.org. December 2018. Retrieved 30 January 2019. ^ "8: François-Henri Pinault". Fortune.com. 2018. Retrieved 30 January 2019. ^ Clare O'Connor (3 May 2012). "Billionaire Baby Daddy Drama: Linda Evangelista Takes Salma Hayek's Husband To Court". Forbes.com. Retrieved 12 March 2018. ^ Laure Italiano (1 July 2011). "Salma Hayek's hubby fathered Linda Evangelista's son". Nypost.com. Retrieved 23 April 2017. ^ "Salma Hayek's Husband, François-Henri Pinault, Is the Father of Linda Evangelista's Son". People.com. 23 September 2016. Retrieved 23 April 2017. ^ Norman, Pete (9 March 2007). "Salma Hayek: Engaged and Pregnant!". People. Retrieved 28 January 2014. ^ "Salma Hayek Has a Baby Girl". People. 22 September 2007. Retrieved 28 January 2014. ^ "Francois-Henri Pinault biography". Browse Biography. 2010-12-12. Retrieved 2012-05-05. ^ Vicki Hyman/The Star-Ledger (2009-04-27). "Star-Ledger article on remarriage in Venice". Nj.com. Retrieved 2011-07-13. ^ Aly Weisman (10 July 2015). "24 power couples at Allen & Co.'s annual 'summer camp for billionaires'". Businessinsider.fr. Retrieved 4 July 2018. ^ Vanessa Friedman (19 July 2017). "How to dress down like a power player". Nytimes.com. Retrieved 4 July 2018.